Is the cold weather keeping you from riding? Come try our all new 2018 Yamaha Wolverine X4 with full enclosure and heat! 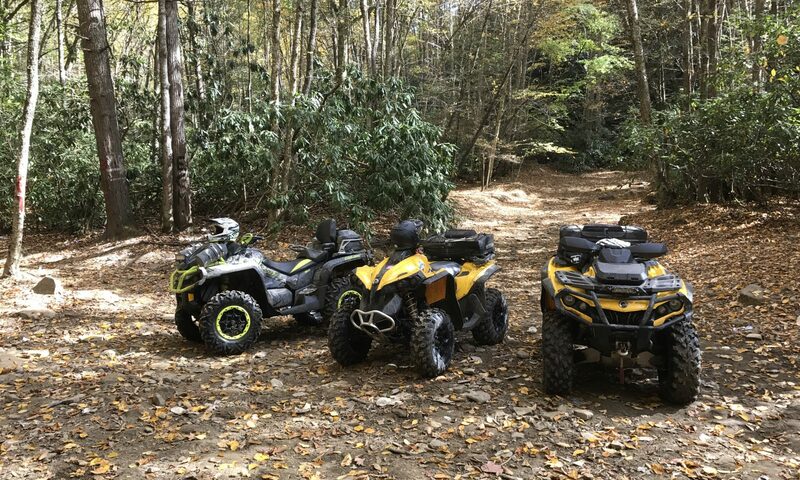 You will experience all the fun of the Hatfield McCoy Trail System while staying out of the cold, snow and rain. The brand new 850 Twin gives you all the power you need to get anywhere and back safely and in the comfort of a heated enclosure with defrost. If you want to listen to your favorite playlist, our built in bluetooth stereo system will rock the trails as you ride along. Of course, you can turn the stereo off and enjoy the quietest riding 4 passenger SXS on the market, effortlessly talk to all of your passengers without having to yell. We provide you with everything to hit the trail, maps, air compressor, plug kit, spare tire, full windshield, LED lighting, beadlock wheels with upgraded tires, full roof, enclosed cab, heat and defrost, a dry cargo box on the back for your jackets, change of clothes, shoes etc. We even provide helmets and Hatfield McCoy Trail passes, day passes or annual. Give us a call 304-460-TOUR or send us a message for more information.